Engagement is crucial for success on social media. In fact, for building a strong social presence, I’d even dare to say that it is the most important one. If your followers never engage with you, how are they benefiting your brand? When your audience engage with you on social, they give you an opportunity to interact with them, strengthen your relatiosnhips, increase their trust in you, and ultimately getting them to convert. Engagement is one of the main metrics marketers focus on when evaluating the results of their social media efforts simply because of the fact that it is so important. In engagement on social media, social shares play a central role, among with likes, followers, and comments, and marketers are therefore spending lots of thoughts in how they can boost their social shares. Almost all marketers are looking at how they can boost their social shares, because they realize the importance of them. The sad part, however, is that only few succeed actually increasing them. Because the truth is, it’s hard! It’s annoying to see your competitors receive tons of social shares when your content is a lot better, but that stops now. 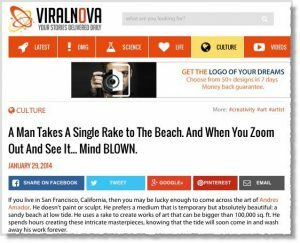 In this article, we’ll dig into 31 Powerful hacks for Boosting social shares Fast. The benefits of social shares are many. The social media landscape is getting more and more saturated. More content than ever is being procured, and the competition of getting seen is tougher than ever. Social shares means that you get your audience to help you cut through the noise by reaching a bigger audience. Instead of having to pay pennies and dollars for boosting your post’s visibility to get it above the surface, you can leverage the audience you already have, and get them to promote your content for you. Getting your audience promote for you – for free? Another benefit of social shares we cannot neglect is the SEO benefits that social shares have. Google has admitted that they look at social media ”indications” when ranking a website. This is because they realize that simply looking at follower count is not very accurate as it is extremely easy to buy a large following of fake followers today, so therefore, they look at the more important metric engagement in first hand. This means social shares, comments, and likes. In other words, if you receive lots of social shares, Google will take this as an indication that people like your content. And with Google’s main objective being to press the highest-quality and most relevant search result in their search, you having lots of engagement on social media can indicate that you have lots of high-quality content. And as a result, your website’s ranking can improve as a result of the social shares you receive. Thirdly, as you get people sharing your content o s coal media, you’ll increase your reach and reach new audiences. When you do, some of the people you reach will start following you – and some might even share your content. So not only are you building your audience, but you can also gain traction quite quickly, and if you’re lucky, even go viral. Remember that 92% of people trust peer recommendations, so when a peer shares something on social media, people are likely to value it. Before we begin, we need to understand that social sharing should be tremendously simple and demand little to no effort. The reason? 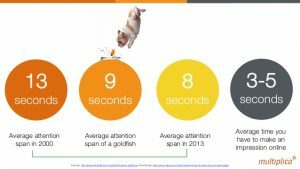 People have a very short attention span, in fact, studies have found that humans have a shorter attention span than a goldfish. But that is attention to things that we find interesting. The reality is that you only have 3-5 seconds to grab your follower’s attention and get them to share your content. This means that you have to quickly grab your audience’s attention, convey your point, and get them to share your content. All in the time of 3-5 seconds. The thing is, humans are lazy creatures. We humans are more likely are more likely to do something if it requires minimal effort from us, and if your social sharing process is too lengthy and demands a lot of effort, people will quickly lose patience and leave. Because you are far from alone in fighting for your audience’s attention, because every single piece of content – both above and below you in people’s social media feed is screaming ”share me, share me”. According to a study by Mashable, people are more likely to share posts with a positive sentiment. Which isn’t very surprising, really, because the human psychology makes us resonate better with things that are positive compared to those that are negative. Do you prefer being around someone who is negative or positive? Therefore, when creating social media posts and optimizing them for social shares, you always want to make them positive. Don’t be the person who goes around spreading negativity all the time. Because if you do, your social shares will be hurting. You can’t only be a taker. You have to give sometimes. Sharing other people’s content can actually help you generate more social shares! When you share someone’s post, that person gets their eyes opened for you, and they get aware of your existence. And since you’ve brought them value by sharing a piece of content of theirs, they’ll feel guilty in paying it back, also called reciprocity. In other words, by sharing other people’s content, you’re not only making them aware of your existence, but you’re also making them feel guilty to repay the favor – by sharing a post of yours. People are much more likely to do something if they feel like they are getting something from it. Think about how you can present them with an offer they can’t deny that gets them to share your content. Are you willing to run giveaways? Are you willing to give away coupons? Are you willing to give the people who share your post first-access to your highly limited and anticipated new limited edition product? There are millions of ways you can go about doing this, but remember that the better your value proposition is, the more people will be willing to share your post. It’s no secret that us humans are visual creatures. In fact, 90% of the information that is sent to the brain is visual. And not only is visual content great for impacting your audience more deeply, but it is also tremendously effective in grabbing people’s attention. Remember that you only had a few seconds of people’s attention? Well, in order to even get those seconds in the first place, you need to have something striking and that gets them to stop for a second. That is what visual content does. Visual is especially beneficial for platforms where text is in focus, but where visual content is supported. Not surprising really, because where there is little competition, there are great opportunities. And if no-one is sharing visual content, you’ll stand out from the crowd. In fact, a study found that tweets with photos resulted in 120 percent more engagement and a 350 percent increase in clicks to the tweet. 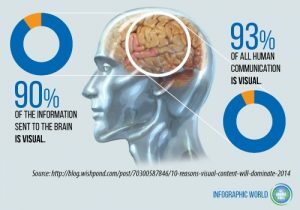 In other words, if you aren’t using visual content, you’re missing out. But you shouldn’t just share content. You need to make sure that the visual content you share is the best of the best. With millions of posts being shared every day on each of the top social platforms, standing out, is, as mentioned earlier quite a challenge. And the thing is, the content you share is the only value proposition you have. It’s the only leverage you have. Without content, what do you have? It’s impossible to grow a social media account without ever sharing any content – because that’s what people are following you for. When working to increase your social shares, it’s easy to get stuck in the mindset that everything you can do to boost your social shares can only be done on social media. In fact, your website has the potential and power of driving tons of social shares. It’s just about leveraging it. The best way to leverage your website to increase social shares is to implement social share buttons on your website. Social share buttons are, as the name suggests, buttons that you add to your website or particular pages of your site which your website visitors can click on and then share the page or your site with their audience. The buttons can have different shapes, forms, and colors, but the principles of them are the same. For instance, if you visit Forbes, you can see that they’ve added social share buttons at the top of each article they post. Which share buttons you should have is completely up to you. The common misconception is that you should add as many social share buttons as you can because it increases the number of shares, but that is not the case. In fact, studies have found that if you have too many share buttons, you’ll give your visitors too many options, and what will end up happening is that people won’t share at all. This psychology method known as social proof, meaning that we want to do like others can ultimately increase your social shares, however, if you display the number of shares you have, but then receive no shares, it can have an opposite effect, so before you start getting a lot of shares, you’ll be better off not displaying them. For a complete guide to sharing buttons on Wordpress, and learning all about it, read this article on social sharing plugins for WordPress. Share buttons are really a great opportunity for you to boost your social shares, but this, of course, demands you to have quality content on your website which people wants to share. The key to getting more shares with social share buttons is constantly tweaking and changing things like location, color, number of buttons, and so on. And as much as I wish I could tell you ”do this and you’ll get the highest number of socials hares”, it varies from case to case, so my best advice is to experiment as much as you can. People are far more likely to share things that are relevant, timely, valuable, or entertaining. After all, people are sharing things because they want to show their friends and give them great content. And nobody wants to show their friends boring, low-quality content that is outdated, right? Of course, there are trending topics all the time, but the thing is that the trending topics vary between industries and niches. This makes it crucial for you to know your target audience and what they find appealing. Obviously, if your target audience is passionate about basketball, it doesn’t matter if there’s a trending topic within the football niche because just because the topic is trending doesn’t mean that it’s relevant. Assuming you’ve already done your homework as a marketer, I am assuming you2’ve already identified your target audience on social media and the characteristics they have, so now, it’s up to you to find trending topics related to your industry. There are a number of ways to go about doing this. The first method is to look at trending hashtags on Twitter. 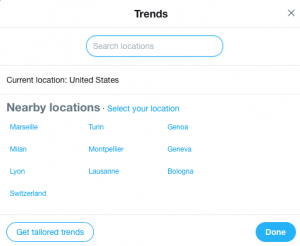 On Twitter, you can get tailored trends based on your interests, and you can also filter topics based on your location. Looking for trends in particular locations is especially good if you are running a local business, or if your target audience is from a specific area. The other way to identify trending topics in your industry is to look at Google Trends. Google trends show up and coming trends that are quickly gaining traction so you can be prepared once they come. To do this, just visit Google Trends and search for a keyword related to your industry. For example, if my target audience is passionate about golf, I’d obviously be searching for the term golf. This would leave awe with a bunch of topics that are currently trending, as well as up and coming, related to the topic golf. 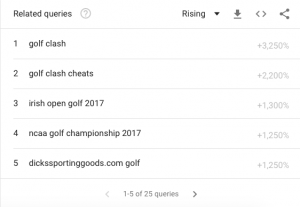 Next to the terms are percentages that tell me how much the different topics have increased in popularity in terms of searches. And if a lot of people are searching for something on Google, you can assume that there’s a growing interest in it. As mentioned, your website can boost your social shares significantly, but a precondition for that is having great content on your site. Another condition for social shares is also your headline. You can have the most amazing and appealing content on the web, but if your headline is boring, no-one is going to click on it and find out. In fact, out of 10 people, eight will read your headline, but only two will carry on reading. Therefore, it’s not only that the content you produce should be high-quality, but it is also about creating a headline that attracts people to start reading in the first place. When you have strong headlines, you can pull people in, and ultimately boost your social shares. Something worth considering is that you want to think about your headlines in a social media context. After all, people are going to share your blog post to their social media pages, and therefore, you need to create appealing titles that also attract people on social media, because that can lead to even more social shares, as well as traffic as a result of someone’s social share. And this is great for grabbing people’s attention, however, if the content on your page can live up to what the headline promises, you’ll only end up making people annoyed and angry, and you’ll harm your own reputation. In other words, stay away from clickbait headlines. These are headlines that exaggerate or give people misleading expectations. This is especially important on Facebook, as a new update limits the number of clickbait posts that gain traction and are seen in the News Feed. For identifying topics that are trending, I talked about the importance of knowing your target audience and what they are interested in, but this doesn’t just go for trending topics. It goes for creating interesting and relevant content that is share-worthy in general. Therefore, before you start looking at how you can optimize your share buttons on your website, or write more captivating captions on social, start with the most foundational, which is the content itself that you are going to share, and ultimately get your audience to share. First off, you want to begin by identifying and understanding the topics that your audience is interested in. But since we’ve already spoken about that, let’s look at the other things you want to know about your audience. Apart from what their interests are, you want to get a better understanding of who they are. This is important because it allows you to talk to them in a tone that resonates better with them, which makes your message resonate better with them, which can convince them to share your content. Obviously, if your audience consists of 60+ year-olds, they have a different tone and personality compared to if your target audience consists of teenagers, right? The most important part of knowing your target audience is, undoubtedly, how you’re going to craft your message for optimum shares. Different people will find different things appealing, and by knowing your target audience very well, you’ll know what sparks their interest, both content-wise, as well as voice and language-wise. And all of this can ultimately help you boost your social shares. This point is perhaps quite obvious, but when you’re focusing on something, it’s easy to get locked in a certain way of thinking. But thinking in a bigger picture of boosting your social shares leads us to think about your followers. When you’re starting out on social media, you will hardly get any shares. Except maybe if you have a super loyal follower who cheers on your brand through rain and sunshine. And what is the reason for this? You have no followers. You haven’t been able to build a following yet. If you build a following the right way, and not buy it, you’re going to reach more people, and when you reach more people, people will be more likely to share your content. Simple. The foundation for getting more social shares is reaching people. If nobody sees your content, how can anyone share it, right? This is why, when you’re looking to boost your social shares, don’t just look at how you can increase your social shares. Look at how you can build your audience so that your reach increases, which in turn lead to more social shares. If you have newsletter subscribers, you’re probably sending newsletters to promote your products or stay in touch with your audience. While the open-rates have heavily increased as a result of heavier competition and more saturation, it still works. This means that you should be leveraging it. So why not leverage it for more social shares? When sending a newsletter, why not add a social post of yours, and implement social share buttons? In fact, why not just straight up ask your audience to share your post? A man once said, ”ask and you shall receive”. The people in your newsletter have already committed to your brand by subscribing to your newsletter, and this means that they’re very hot prospects in sharing your content. 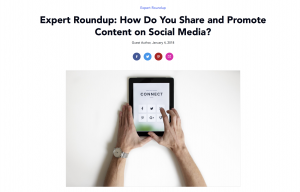 I started this article by talking about the importance of making it easy for people to share your content, and this is a crucial part of increasing your social shares. Humans have a very short attention span, and this is especially true for social media considering the amount of content being shared. If a piece of content is interesting, people can simply continue scrolling for new content. The first step to getting shares is grabbing people’s attention, but once you have that attention, you need to make it super easy to quickly find where they can share the content. The most important part of doing this is making your share buttons on your website visible. This means making your social share buttons larger, and making them in an attention-grabbing color. Since you cannot change the visibility of the share buttons on the different social media buttons, this is the most important thing you can do to encourage your audience to share your content, at least on your website. When it comes to making it easy for people to share your content on social media, call-to-actions are your best bet, and this brings me to the next point. Call-to-actions have shown to be very effective in many aspects of marketing and social media, and for boosting sales, it’s no different. In fact, Dan Zarella found that social media descriptions with clear calls to action get 200% more engagement. When you include clear call-to-action, people know what they should do, and more importantly- what you want them to do. Many people are very passive on social media, and therefore, giving them clear directions can significantly boost both the engagement and shares on social media. You might have seen click-to-Tweet widgets on different websites that you’ve been on, and the reason is that they work! What it is is Tweetable content on your website which your readers can click on to tweet. The first way is that when a person marks a specific text on your website, an option will come up saying ”click to tweet”. This will make them tweet the quote that you’ve highlighted together with a link back to that page. The other way you can use click-to-Tweet is by having pre-marked certain quotes of bits from your site. The best part about this is that readers only have to click on a single button to share a quote they found inspiring. In other words, you make it easy for people to share, which increases the numbers of share you’ll get. Humans are lazy creatures that don’t want to go out of their way to do things, we now know that. But did you know that you can convince people to go out of their way by incentivizing them? When people share a post of yours, they don’t get much in return. But when you give them something in return for sharing your post, all of a sudden they have a great reason for doing something that will take both their time and energy. And as you can imagine, the better the incentive is, the more people will be willing to go out of their way to share your post. This is why incentivizing social shares is the single most effective way to boost your social shares. And remember: the better the incentive, the more people will willing to do it. How many people will be willing to eat a jar full of jalapeños for one dollar? How many would do it for 100 dollars? Most likely a lot more people. And how many would do it for one million dollars? The more value the thing you give to the people who shares your content on social media brings, the more people will share your content. There are tons of things you can give away, and you don’t have to get stuck in the mindset that you need to give them physical products or real cold hard cash. Sometimes, ebooks, coupons, guides, and so on brings enough value that people will be convinced to do it, however, giving away actual gifts is often a very convincing incentive, as long as the gifts are relevant to your target audience. This also means that you can incentivize your audience by running social sharing giveaways. Instead of using the tactic of asking your audience to tag three friends or type in their email address etc to join your giveaway, you can set the rule of entry to simply share your posts. This will give you a ton of shares, as well as new followers. It’s important to understand the reason why people are actually sharing content before you start working on how you can increase the number of shares you have. People share high-quality content that brings them value in some way because they want to share it with their peers so that the content can bring them value. With more content than ever on social media, and content being your only value proposition to attracting people and ultimately impacting them in some way, you need to put great emphasis on the content you share. Remember that the vast majority of people share your post because of the content and content only. If your content is low-quality and doesn’t bring any value, people won’t share it. After all, there are billions of posts out there, so finding one that actually brings value isn’t that difficult. Because when you to, the human reciprocity will guilt them into sharing your content as a way to give back to you since you have given them something. On one side of the spectrum, we had trending topics which are only popular and relevant for some time and then loses popularity, and on the other side, we have evergreen content, which is content that remains relevant year after year. Evergreen content is also quite popular and is a type of content that often receive social shares. 17. Make it possible to share on mobile. Nearly 60% of all Google searches are done on mobile. This means that the number of people who visit your website who uses a mobile device is also quite high. As a result, if you haven’t made it possible to share your content on social media through mobile, you’re missing out on a ton of potential shares. Just because you include social share buttons on your website doesn’t mean they’ll be visible on mobile, so make sure they do before you kick your feet back on the couch. Let’s say your website visitors on mobile is at 45%, and your social share buttons aren’t visible on mobile. In theory, that would mean that you can boost your social shares by 45% if you optimize your share buttons. A plugin you can use that implements social share buttons on your website is Digg Digg. 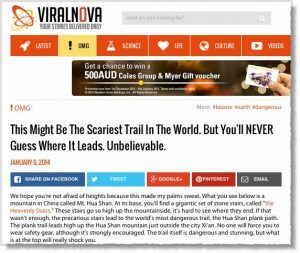 This plugin implements floating share buttons on the left-hand side of a blog post, making them difficult to miss as they’re always following along as you scroll. As I talked about earlier, just because you have more share buttons doesn’t mean that you’ll get more social shares. In fact, it is the opposite. It’s easy to think that the more social share buttons you have on your website, the more share’s you’ll get, but the problem with this is that you give humans too many choices which will lead them to make no choice at all. It is just like when you visit a restaurant that has a menu that is miles long. What will end up happening is that you’ll struggle to select something. Instead of including every single social sharing button you can, the most important part is that you have at least the most important ones. After all, it is to those platforms where most people will share your content. 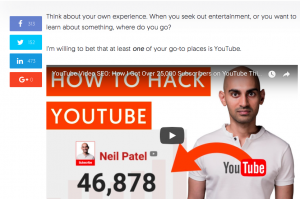 Neil Patel experimented with his floating social media button widget and limited the number of buttons to only Facebook, Twitter and Google+. His shares per post went up by 11%. Because it is so crucial that you make the process of sharing simple, making it easier for people to decide by removing social share buttons is something that everyone should do because it will lead to more social shares. Humans have a very short attention span as you know by now, and therefore, it is essential that you use every single tactic you can to grab their attention, except for including appealing visual content. This also means making your post scannable so that it allows people to quickly get to the point. Studies have found that the majority of people who share a page and blog post on social media haven’t even read the whole thing. In fact, some people even share a blog post before they even start reading it. 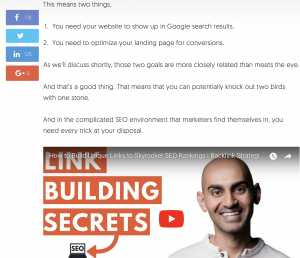 No matter what, it is important that you make your content scannable and easily digestible, for instance with short paragraphs, subheadings, bullet points, and images. All of this allows the reader to quickly extract the information without actually reading the whole thing, and if they find the post valuable, share it. The time you post on social media can affect the number of people you reach with your post, and the more people you reach, the more people are likely to share your content. Therefore, you should do everything in your power to increase that reach, as spoken about earlier. One way of doing so can be to be strategic in the times you post. For some platforms, the time you post is highly important, and for others, not that much. I would share a visual that displayed ”the ultimate times” to post, however, the truth is that the best times to post depends on you and your target audience, so just looking at some statistics won’t tell you a lot because the best time to post is personal. Things that impact people emotionally have shown to be highly effective in marketing, and the same goes for boosting your social shares. By sharing content that makes your audience laugh, you not only bring them value with your content, you also significantly increase the chances of making them share your content. Because if the content made them laugh, they’ll want to mediate that value to their peers by sharing it. When you talk to someone directly, there’s nowhere for them to hide. The conversation becomes personal and intimate and allows you build your relationship with them. When you mention someone on social, they are highly likely to share it, because first, it is about them, which means that their audience will find it interesting, and secondly, because they want to show their appreciation in some way. And then, of course, it also helps if the message you shared actually brings value in one way or another. If you want to gain shares on Twitter, the way you format your tweet can have a huge effect on the post’s engagement. A while ago, Twitter increased the number of characters in a tweet from 140 to 280. This has completely opened up new opportunities for marketers to use tweets, but the principle still remains that Twitter is a platform where you should make your message snappy and straight to the point. Tweets with up to 3 relevant hashtags get almost 55% more retweets. Tweets with images see 200% more engagement. Tweets with quotation marks have been found to get 30% more retweets. Quotes on Twitter are highly appreciated by people and are the type of content that people love sharing with their friends. Especially if it resonates with them. 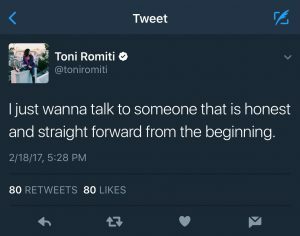 For instance, take a look at this tweet from @toniromiti. I am sure that there are lots of people who feel the same way that the message says and therefore resonate very well with it. Now, this tweet doesn’t have any quotation marks, however, it can easily be made into a quote. Similar to incentivizing, making your audience unlock different benefits by sharing your content is a great way to convince them to do something for you. A method that is used widely across social media and that works very well is including the first few paragraphs of a post, book guide or similar, and then ask your audience to share your post in order to get the rest of the content. It doesn’t necessarily have to be content that is for sale and that you now give away for free, but it can also be content that is highly exclusive to the people who share. Making it exclusive will further encourage people to share your content because they feel unique, and like they’re getting something others don’t. Apart from just optimizing your headlines as I spoke about earlier, it’s crucial that you understand what makes headlines great, and sparks interest. 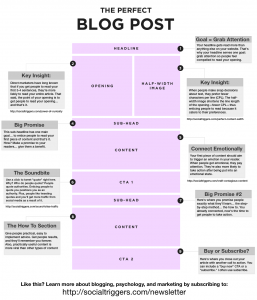 Headlines have a huge effect on your posts performance and how many will read it. Remember that many people will share a blog post before they’ve even read it? A lot of that is based on the headline of the post! Many people spend a ton of time creating high-quality content, but then spend very little time in creating an amazing headline, and while the content itself is extremely important, not putting a lot of effort into the headline will cripple the success and performance of the content. How to, you, your are great words to include in your headline. 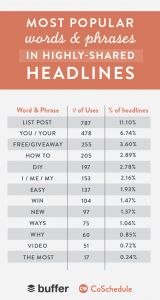 Headlines consisting of 6 words have shown to have the highest conversion rate. Don’t forget powerful impacting words such as: powerful, incredible, amazing, effective, unbelievable, Essential, Critical, crucial, and so on. It might seem too simple to work, but simply asking people to share your content can increase your social shares quite significantly. Of course, there’s a fine line between asking and sounding desperate, so don’t do it too often, and be careful with how you do it. There are actually certain words that you can use to boost your engagement and increase the number of social shares you receive. Obviously, you want to leverage these words as much as possible, but do so in a seamless way without making it awkward. A great way to boost your social shares is to not just turn to your audience. Another method is to turn to social media groups and networks that you are a part of. The best is if you share to communities in your niche because these are the ones that will find the most value out of your content – as long as it is actually relevant to your target audience. Therefore, join all groups in your industry that you can come across and start bringing value. If you just join and start promoting yourself, chances are, you’ll be kicked out, or people will start listening to you. However, if you come with valuable and relevant thoughts, and then every now and then come with something you wish people to share, people will listen to you more, and they’ll also be more likely to share it, as it brings their audience value. People care about the leaders in your industry, and they look up to what they have to say. Therefore, interviewing these people will help you leverage the popularity these people have. Not only are the people who are interviews likely to share your interview, but the people who look up to them as well. The best part is that industry leaders often have a lot of followers, allowing your post to gain lots of traction, as well as get shared by the audience of the thoughts leaders. If you’re doing an interview, be brief and short. Ideally, limit yourself to one question, because thought leaders are busy people, so asking them only one question significantly increases your chances of getting a response. Chances are, you have loyal fans of your brand who regularly share your content on social media. By acknowledging people who share your content, you show that you value them and that you appreciate their time. When people do something for you, you need to do something for them. And that something can be a simple thank you. When you show that you appreciate them and what they do, they’ll feel appreciated and become much more likely to continue sharing your content. The reason is that different people prefer to consume content in different ways. While the human mostly resonates with visual content, some people still prefer voice, while some prefer video, and others text. By repurposing and sharing different types of content based on the same material, you can meet all your follower’s preferences, and therefore increase your social shares. You already have your audience’s attention, but what if you could get that audience to share your content to further boost your exposure? social shares doesn’t have the benefit that it leads to more expsoure. Actually, by getting your audience to share youe content, you get them to engage with you. And when they do, you can show your appreciation to them, as well as begin talking to them, and build your relationship with them. Search engines have started to look more and more on social media indications about popularity, and as social meida is increasing in popularity, you can expect search engines to look more about what people are doing on social meida.